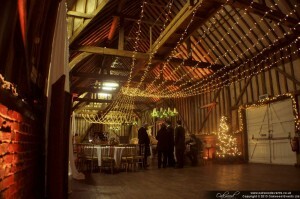 The main barn at Lillibrooke Manor is a lovely space for a wedding reception. The barn is relatively long and thin, so when we were asked to install a fairy light canopy we recommended a design that’s gathered in the middle to create two gorgeous swags of lights that spread out as they sweep to the beams at the ends of the barn. 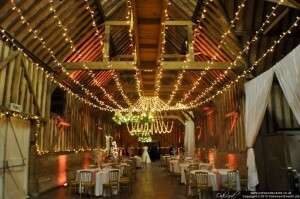 Complementing the fairy lights we also installed dynamic colour-changing uplighting around the walls of the barn. The lights were programmed to stay gold throughout the wedding breakfast, and then switched to colour changing at the start of the disco, transforming the atmosphere of the entire room. 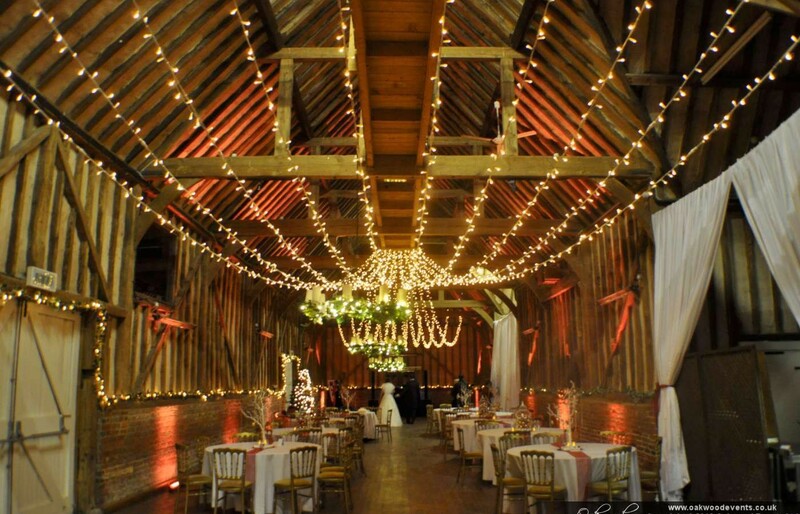 Contact us to discuss lighting your wedding at Lillibrooke Manor. Firstly, a massive thanks to you, Steve and team for making our wedding venue so amazing!